Earth V Sky is a permanent installation by artist Allan Giddy situated at the end of Glebe Point Road and Federal Road in Rozelle Bay. 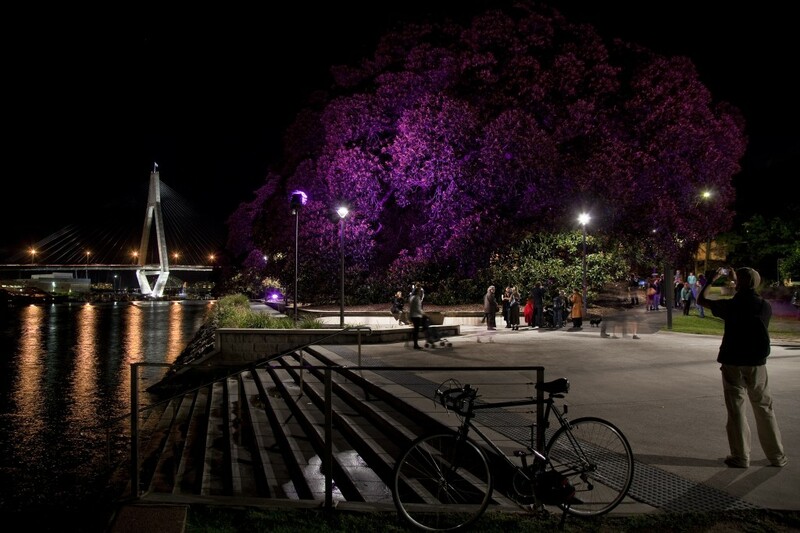 Each night it comes alive displaying a spectrum of colours onto two Moreton Bay fig trees that correspond with the colours of the sunset. New technology pioneered and custom built by Holly samples the sunset every night and determines the corresponding colour to pass onto the light controls. All the power for the system comes from the first wind turbine in Sydney which is installed nearby.